Serena Williams gets sick eating dog food just before Italian open final match. Some may have thought it was some sort of match fetish like lots of professional athletes have. The strange things they do to prepare themselves for the grinding games and matches. World number one tennis player Serena Williams was just momentarily tempted by how delicious the dog food of her pet dog 'Chip' looked, and decided to try it out. Unfortunately for the tennis champion, her curiosity was a mistake that almost cost her more than she bargained for. What was she thinking right? I mean she just lost a match recently that put a hold on a serious historical landmark shd was about to make. 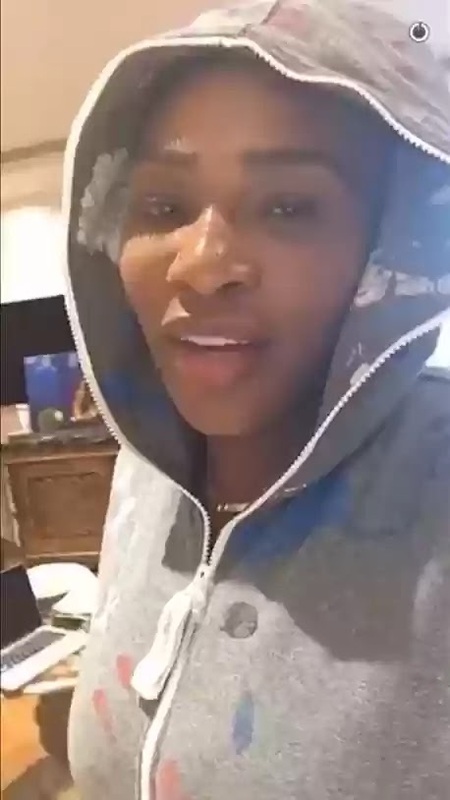 Asking not to be judged Serena shared a video of her experience on Snap chat. She thought the dog food looked really good and decided to throw caution to the wind and try a spoonful. Two hours later she was racing to the toilet. Sick as a dog. "I mean it did taste weird. I force-swallowed it. It tasted kind of like house-cleaner thing. I don't know what they put in these dog foods, but Chip liked it." Serena said. It was a gamble that almost cost Serena dearly, since her Italian open final match was only hours away. Williams had recently lost her bid to equal all time women tennis grand slam leader Steffi Graff when she lost her French open final match to Garbine Muguruza. But luckily for Serena, she recovered enough from her dog food mishap to defeat fellow American Christina Mchale in the Italian open final in Rome. A hard fought first set of 7-6 (9/7) could have gone either way before Williams recovered to crush her opponent 6-1 in the final set. She'll definitely leave dog food to dogs from now on.